When it comes to choosing a siding material for your new home, you have plenty of choices. We understand that and respect you for considering all of the options available to you. In many cases, the decision comes down to HardiePlank versus vinyl siding. Do you understand the differences between each, and which materials are preferred in certain situations? Don’t worry; we’ve got you covered. Variety. There are a handful of different HardiePlank varieties and styles to choose from. These include Select Cedarmill (a natural look that mimics wood), Smooth (a classic and clean look that’s ideal for coastal properties or ranches), Beaded Cedarmill (a sophisticated board with defined edges), and Beaded Smooth (a traditional look with a modern twist). Resistant. Not only does HardiePlank look good, but it’s extremely damage resistant. Whether you’re dealing with hot or cold weather, the boards hold up. They also resist termites and wood-eating insects. And the fact that HardiePlank lap siding is fire resistant means you can rest easy. 30-year warranty. All James Hardie building products are backed by an impressive 30-year non-prorated warranty. This is something that no other siding product has been able to offer and shows just how confident James Hardie is in their lap siding. Safe and healthy. 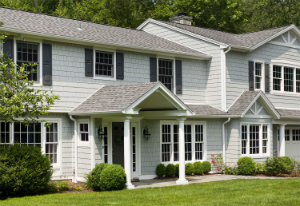 Whereas fiber cement products can pose certain health risks when not properly handled or installed, vinyl siding doesn’t pose any risk to the installer – or really to anyone at all. Vinyl is green. 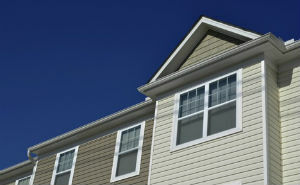 Vinyl siding is one of the more energy efficient siding solutions available. Installing vinyl automatically enhances your home’s R-value, which is an important measure for dictating the insulating capacity of your home. Hundreds of choices. 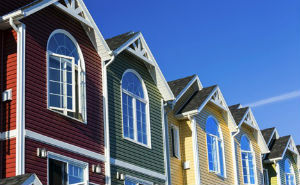 Vinyl siding is available in hundreds of different colors – each certified to look good for a number of years. This flexibility in color choice means you can create any look you’d like. While a lot depends on the contractor, amount of materials, and location of the home, the price advantage typically lies with vinyl siding. On average, it’s significantly cheaper. HardiePlank commands a steeper price tag, because it’s generally considered to be of higher quality. However, along with the higher quality, HardiePlank also requires a more intensive installation process. Contractors must use special equipment to cut the boards and only licensed specialists are capable of installation. Vinyl siding, on the other hand, is easier to work with and doesn’t take as much time. The second point to consider is the energy efficiency of the two materials, as well as their eco-friendliness. HardiePlank’s R-value is fairly low compared to that of vinyl siding, but it’s important to note that vinyl siding – on its own – isn’t extremely insulating. What makes vinyl siding energy efficient is the attached insulation that you can purchase with it. This significantly improves vinyl’s R-value and makes it more efficient than HardiePlank. Finally, you have to consider the maintenance, upkeep, and durability of the two siding materials. As previously mentioned, HardiePlank comes with a fantastic 30-year warranty. However, it should be noted that it typically needs to be repainted and caulked every 5-10 years. 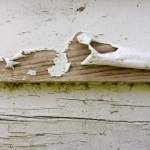 Vinyl siding usually comes with a 25-year warranty, but never needs to be repainted. The downside of vinyl is that it’s much more brittle than HardiePlank and needs replaced more often. Insurance. Any time you have someone working on your home, you need to verify that they’re insured. This includes both liability insurance and worker’s compensation insurance. This prevents you from having to pay for repairs should something go wrong. It also eliminates any risk of having to pay for medical costs if an injury were to occur. Experience. Siding is a very specialized expertise that requires skill and experience. You want to verify the amount of experience a contractor has before hiring them to work on your home. Ask for testimonials and referrals if you want a clear picture of their work history. Workmanship warranty. While the actual siding you select – whether it be vinyl, HardiePlank, or something else – will likely come with a warranty, you also want to find out if the contractor offers a workmanship warranty for the installation. Different contractors offer different lengths, so this is something to consider. 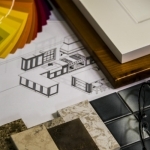 Longer warranties typically show that a contractor is more confident in their work. Subcontractors or employees. One last thing to consider is whether the contractor subcontracts work out or performs all work through in-house employees. Generally speaking, having employees on the payroll means the business is more stable. This isn’t always true across the board, though. At Lakeside Exteriors, we’ve proudly served Missouri homeowners for the better part of 20 years and would love the opportunity to work with you. While we also offer window, door, gutter, and deck services, we know that few home projects are more important than attending to the needs of your siding. That’s why your neighbors consistently turn to us when they need new siding installed. Whether it’s James Hardie siding, vinyl siding, fiber cement, stone veneer, or anything in between, we can help. For additional information, please contact us today!